There’s no such thing as preparing too early for a hurricane. Even if you don’t live in an area that is impacted by hurricanes, share these life saving resources and information with people who are. Having the proper amount and type of food and water is extremely necessary, so follow these guidelines when planning. Also be sure to have a week’s worth of medicine anyone needs, as well as the instructions. Go over your evacuation plan before a hurricane hits, and be sure to update your emergency kit with the proper materials. 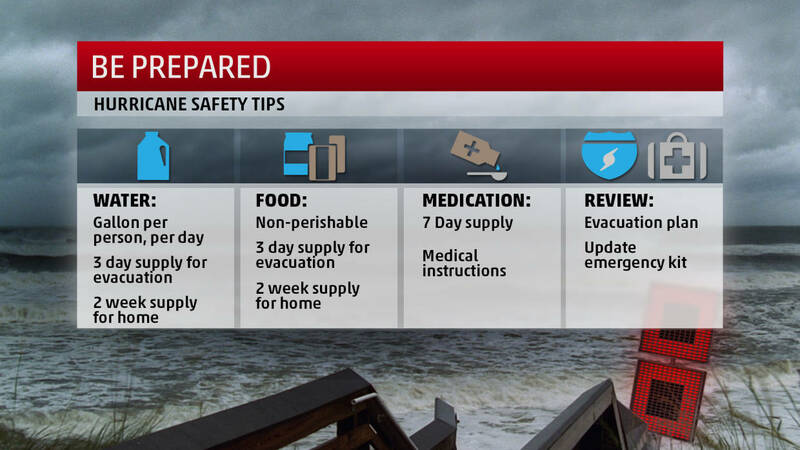 Your emergency kit will be what you take with you in the event of an evacuation. 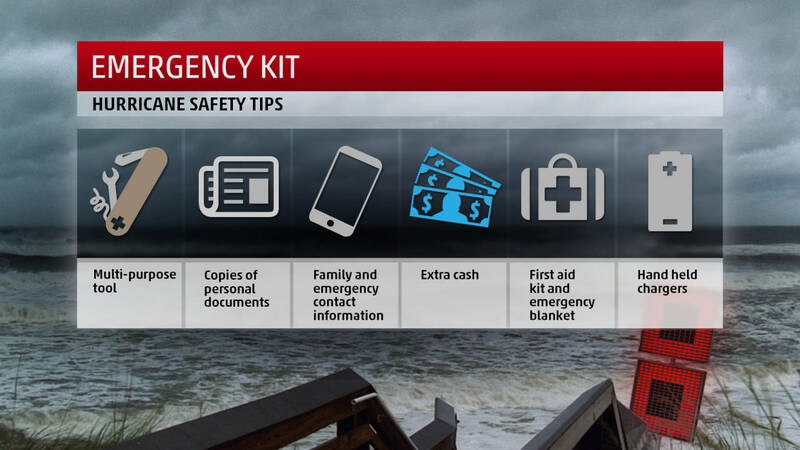 Have a multi-purpose tool available, make copies and seal important personal documents, save family and emergency phone numbers beforehand, ensure your first aid kit and blankets are packed, and have hand held or car chargers ready to be used. Also, having a hand crank or battery powered weather radio will help you stay updated on the latest weather information. 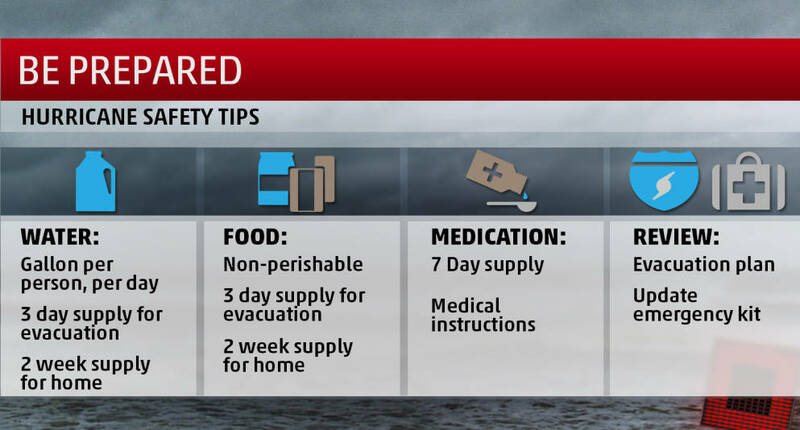 If you are heading to a shelter, be sure to pack any foods or prescriptions you have to have. 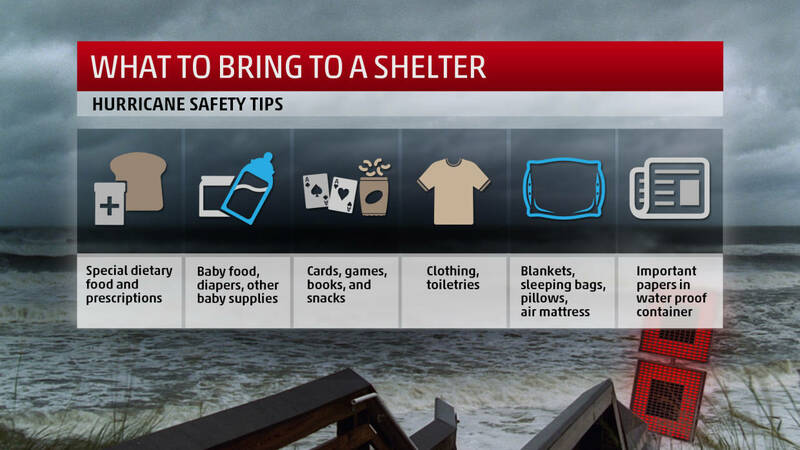 If you have an infant, be sure to pack baby food, diapers, and whatever else you will need. It may be a while before you leave the shelter, so bring things to keep you occupied like games and snacks. Pack clothing and toiletries to last a few days, as well as blankets and pillows. Seal important papers in water proof containers and don’t leave them unattended. The main thing to do if there’s a hurricane threat in your area is to pay attention to your local officials. They will tell you if you need to evacuate. Make sure your home is stable and fortified with materials that can withstand a hurricane. 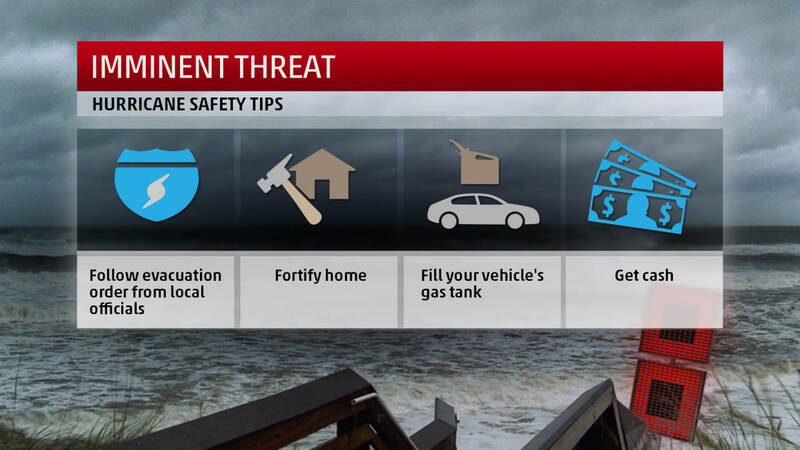 Fill up your tank and an extra gas container before the hurricane hits, and get cash from an ATM. During the hurricane, keep your first aid and emergency kit near you- you never know when you may need it. 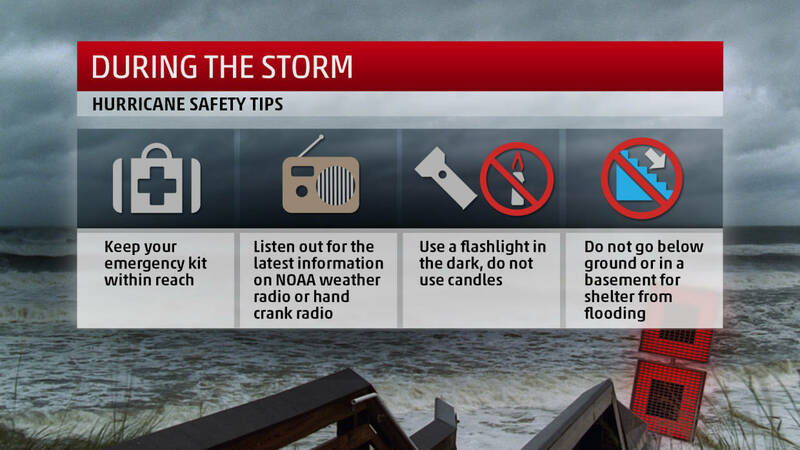 Also, turn on your weather radio so you can stay informed of what’s happening in your area. Avoid using candles and instead use flashlights if your power goes out. 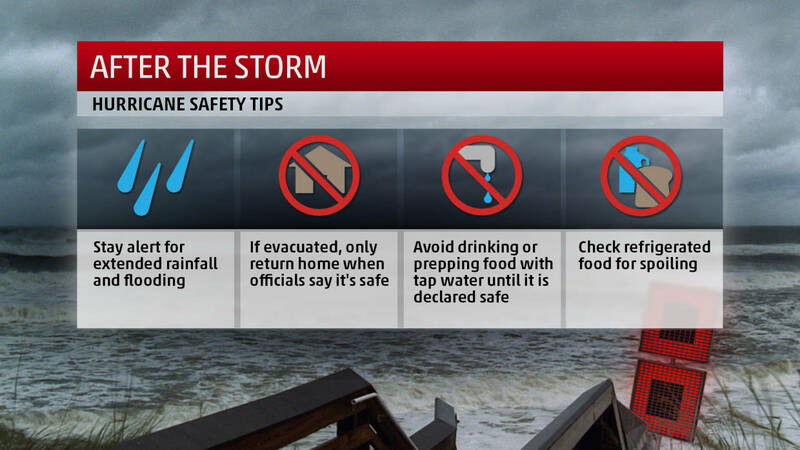 Finally, do not go into your basement when you are taking shelter from the hurricane. Once the hurricane has passed your area, do not assume you are safe to go back home. Listen out for extended flooding alerts and only return to your home when officials give you the go ahead. Don’t drink tap water until it is declared safe, and thoroughly go through your refrigerator and dispose of spoiled foods. Click for more information on how to be prepared for a hurricane, where to park during a hurricane, and how you can protect your home from a hurricane. Watch The Weather Channel for hurricane coverage you can trust.